Every WordPress site must have a theme. After you select a theme, you are ready to write and publish your heart out. 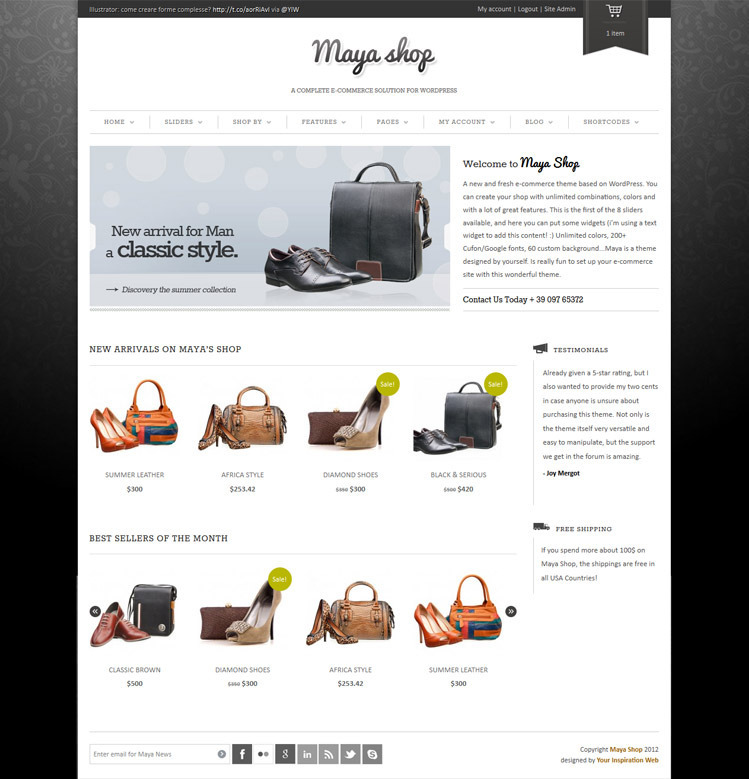 A theme is simply a downloaded file that contains a “look and feel” for your site. Themes are usually installed into WordPress itself by the site owner, within the Dashboard. The choice of theme is the primary way in which WordPress site owners change the personality – the appearance and perhaps even the behavior – of their WordPress-based site, without any low-level programming or design work. WordPress itself comes “pre-loaded” with a couple of themes: “Twenty Eleven” and “Twenty Ten.” Both of these themes give a pleasant, vanilla blog appearance to your site. Hundreds of thousands of WordPress sites use these two themes because they are the “default” choices provided by WordPress. So you may wish to do some exploring of alternative themes, for a more unique appearance. There are many free themes available on WordPress.org. WordPress plugins add new features to your WordPress based site. WordPress is sort of a blank canvas in many ways. It’s up to you, as the site owner, to customize your site according to your individual needs. Use of plugins is entirely optional. But it’s more likely that you will need one, two… or six… or a whole bunch of plugins… than none. “Lightbox” style image popups so that images that a visitor clicks can display themselves in a zooming window. The general rule is: if WordPress doesn’t do it, there is most likely a free plugin that does. As of the time of writing this article, en.wordpress.com/stats reports that there are over 54 million WordPress sites worldwide. Every single one, however, is a unique creation. If you have been wishing for a straightforward way to publish your own website, WordPress is a mature, full featured, stable platform that millions of people and businesses use daily. WordPress sites are easy to create and set up, easy to use for creating new content, and inexpensive to own — potentially free, if you are willing to put up with some restrictions. WordPress has “you” written all over it. Get to work and go have some fun.